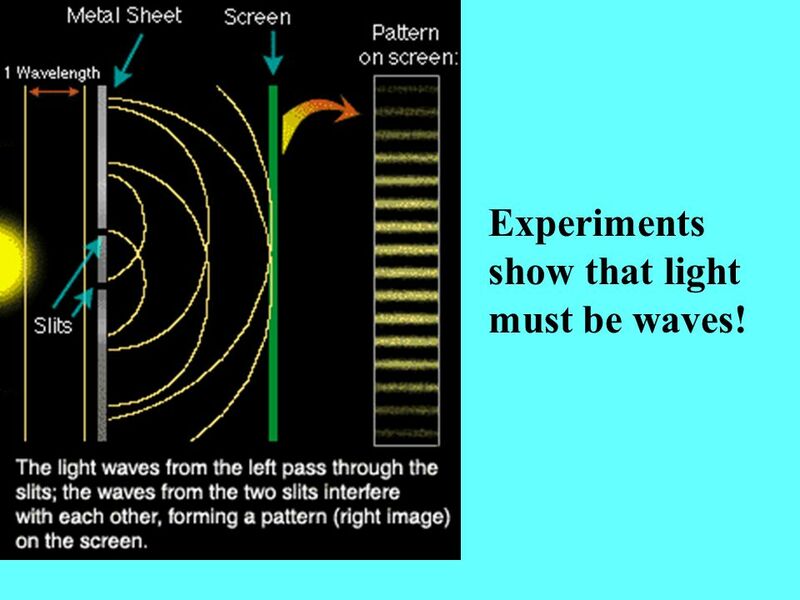 3 Experiments show that light must be waves! 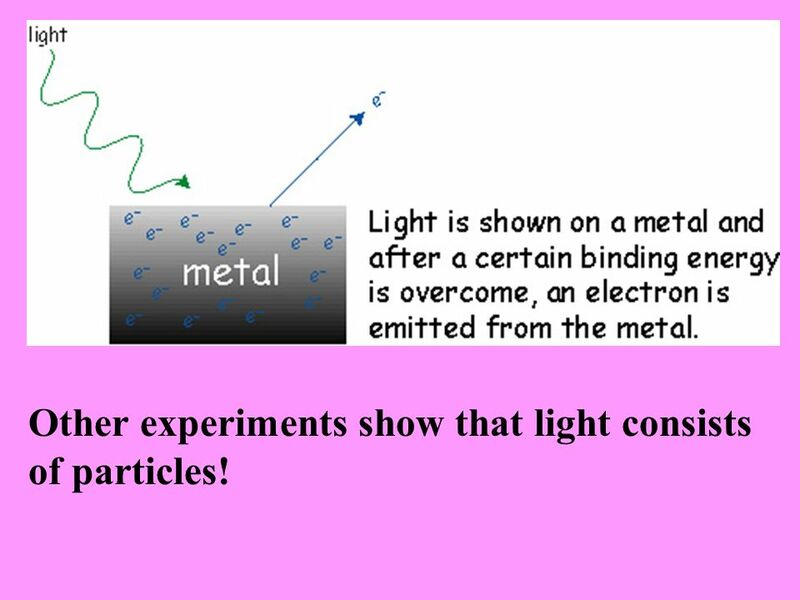 4 Other experiments show that light consists of particles! 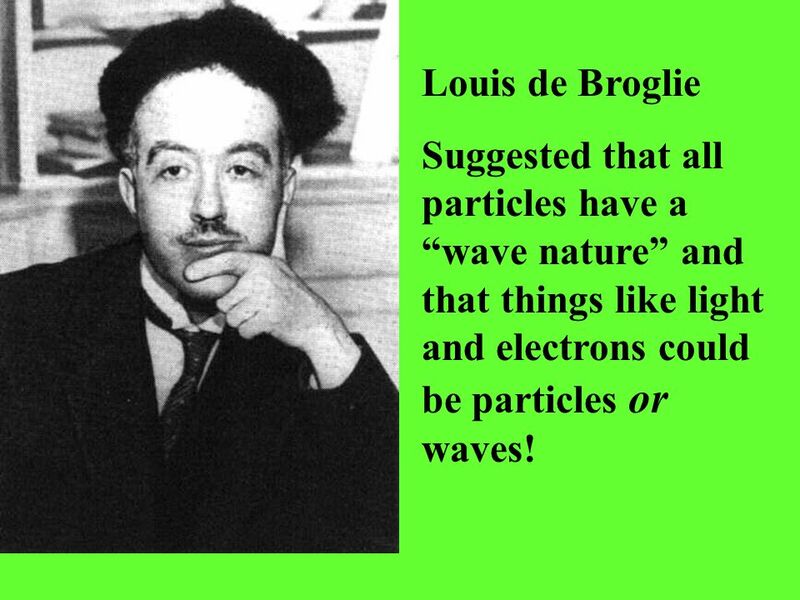 5 Louis de Broglie Suggested that all particles have a “wave nature” and that things like light and electrons could be particles or waves! 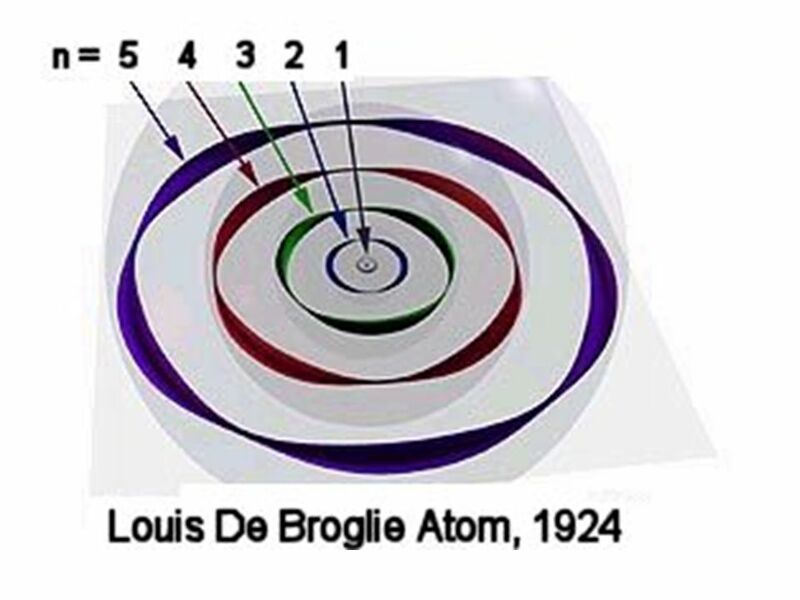 De Broglie’s model of the atom. 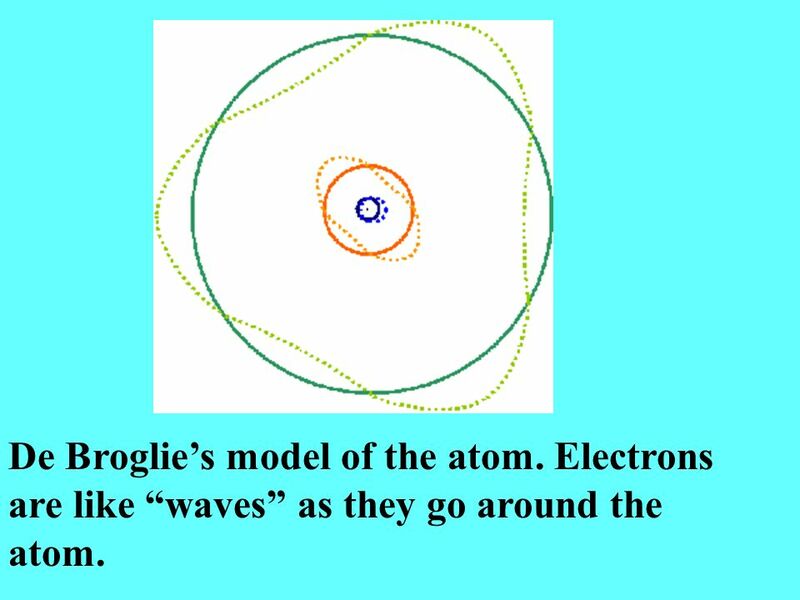 Electrons are like “waves” as they go around the atom. 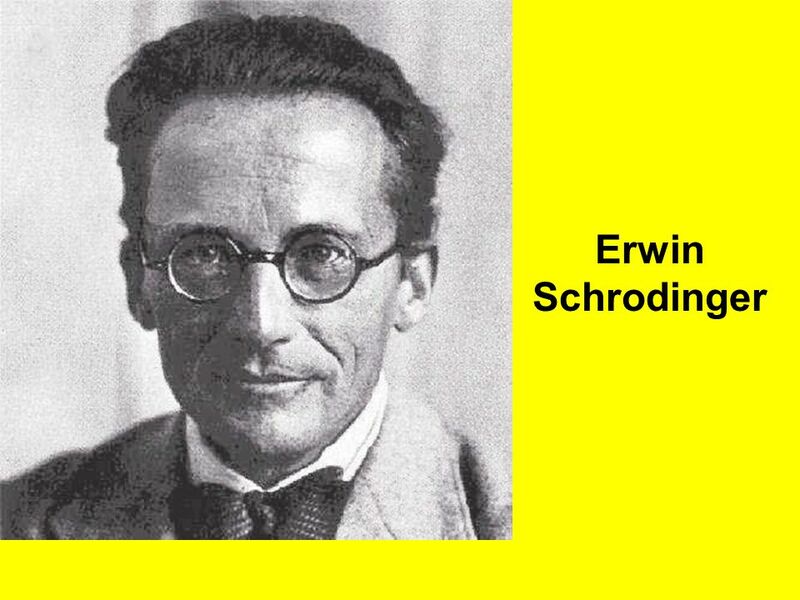 Schrodinger used mathematics to predict how electrons behave in an atom! 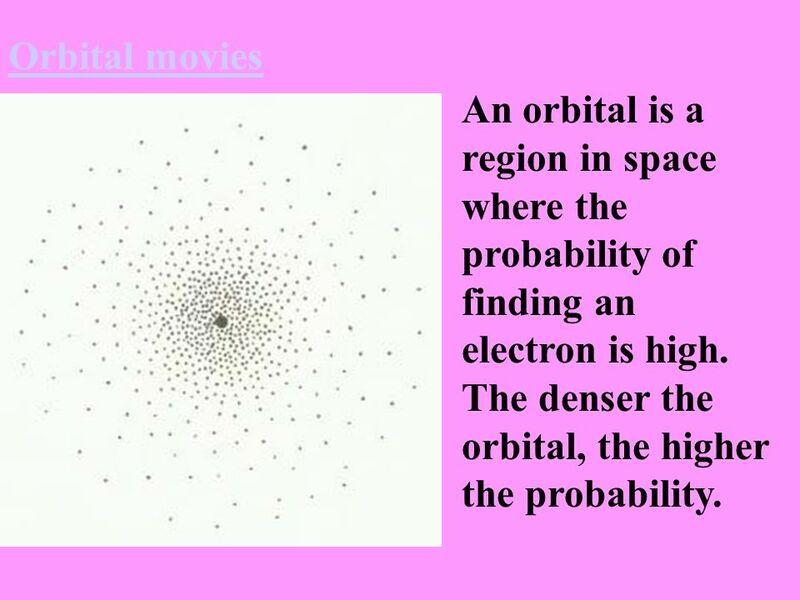 12 Orbital movies An orbital is a region in space where the probability of finding an electron is high. 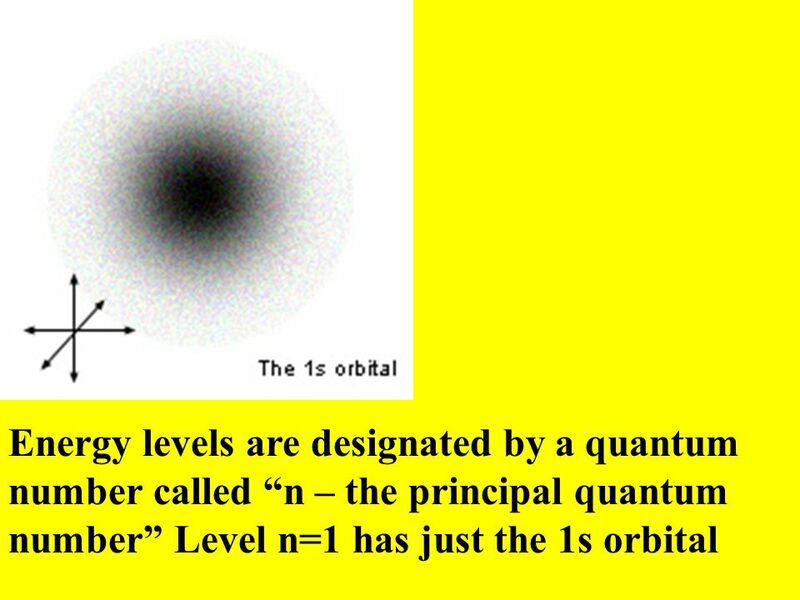 The denser the orbital, the higher the probability. 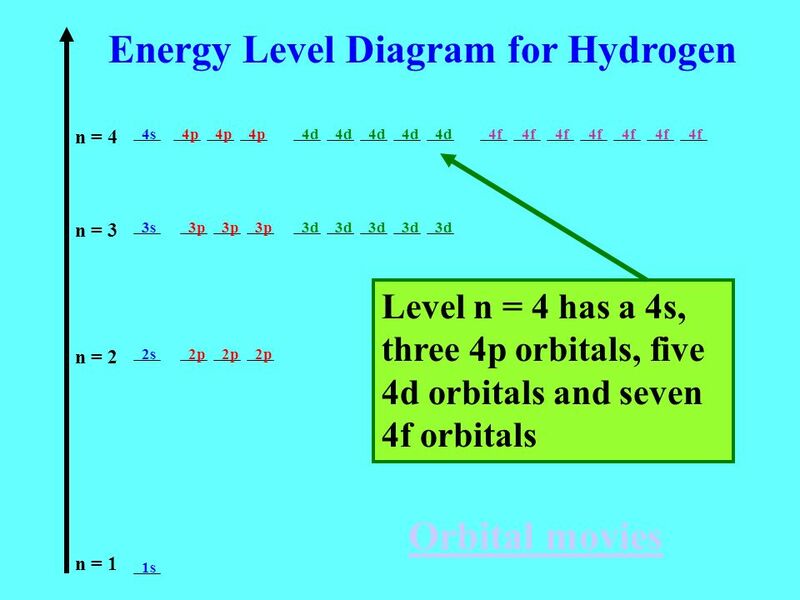 24 java orbitals In “many electron” atoms (atoms other than hydrogen), the “sublevels” have different energies. 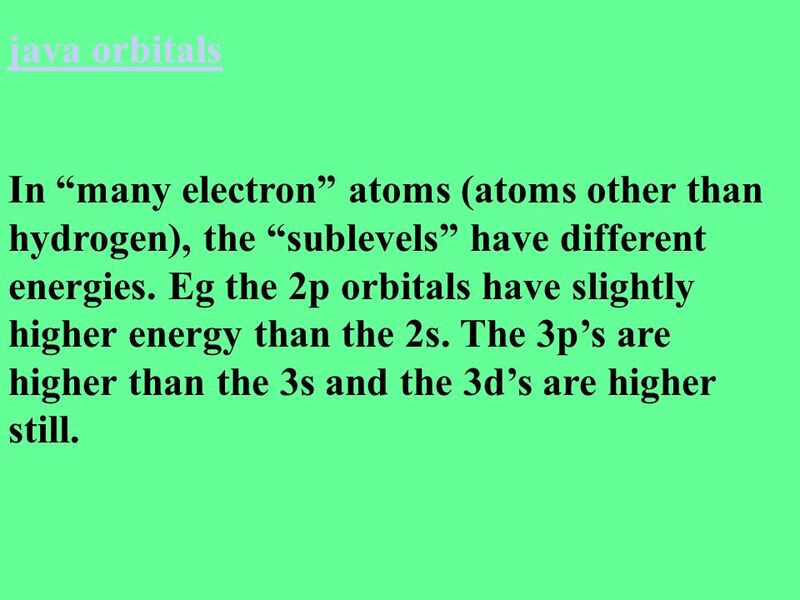 Eg the 2p orbitals have slightly higher energy than the 2s. 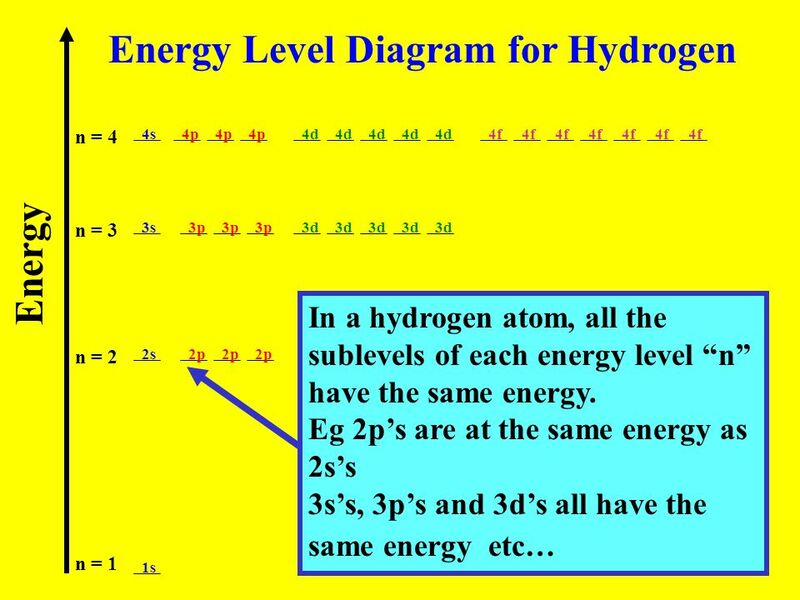 The 3p’s are higher than the 3s and the 3d’s are higher still. 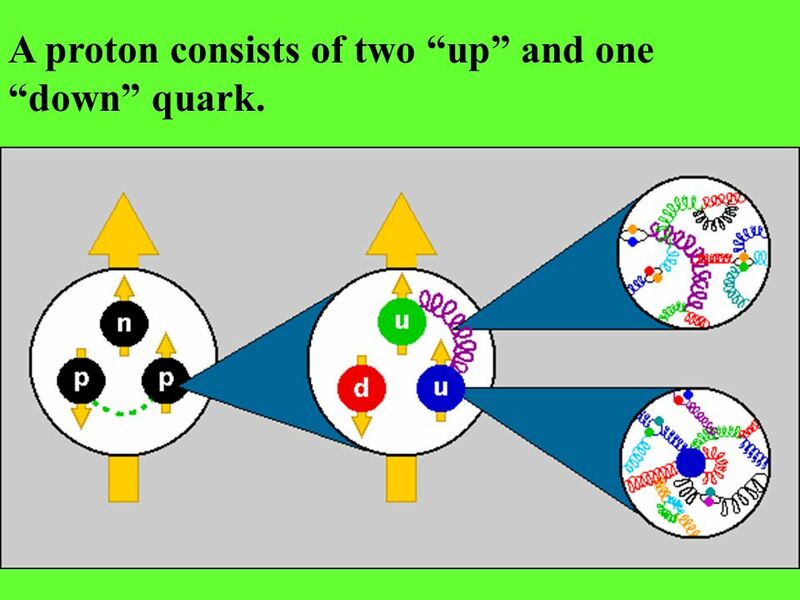 28 A proton consists of two “up” and one “down” quark. 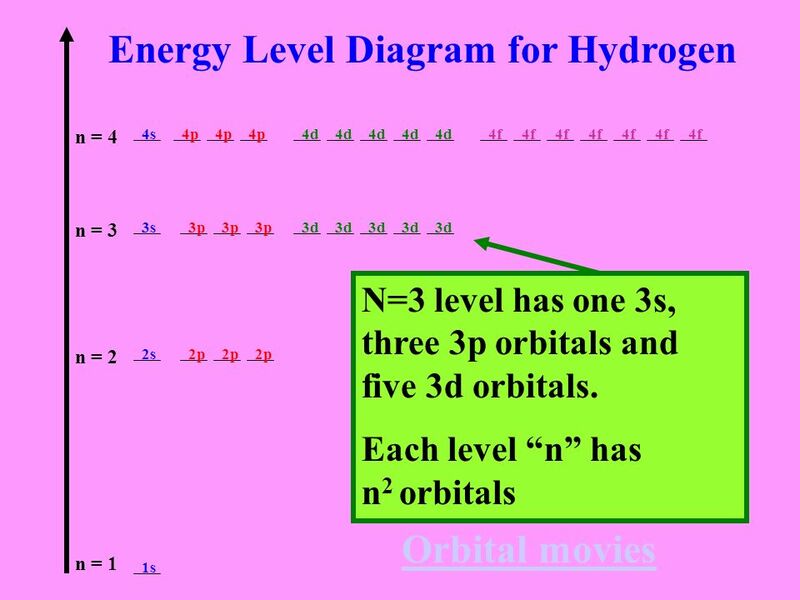 32 Will it ever end? 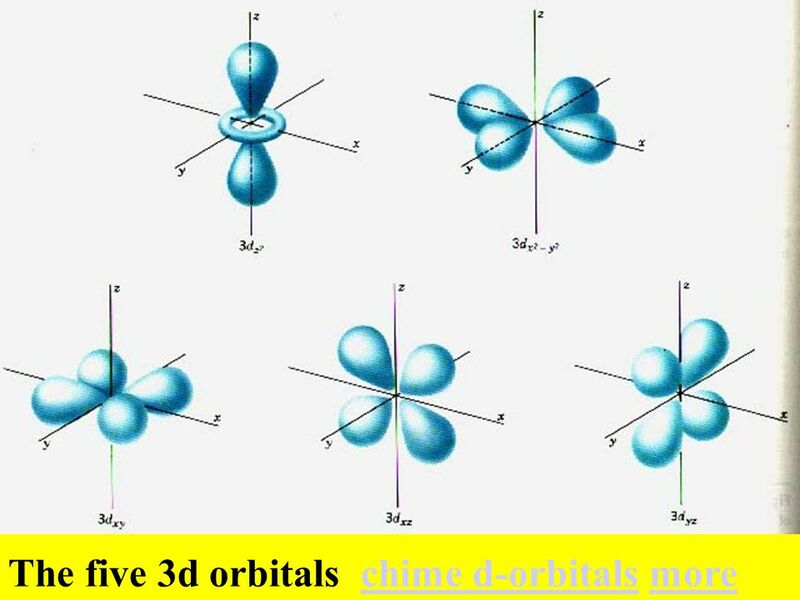 Download ppt "Modern Models of the Atom"
Electrons as Waves Sarah Allison Claire. 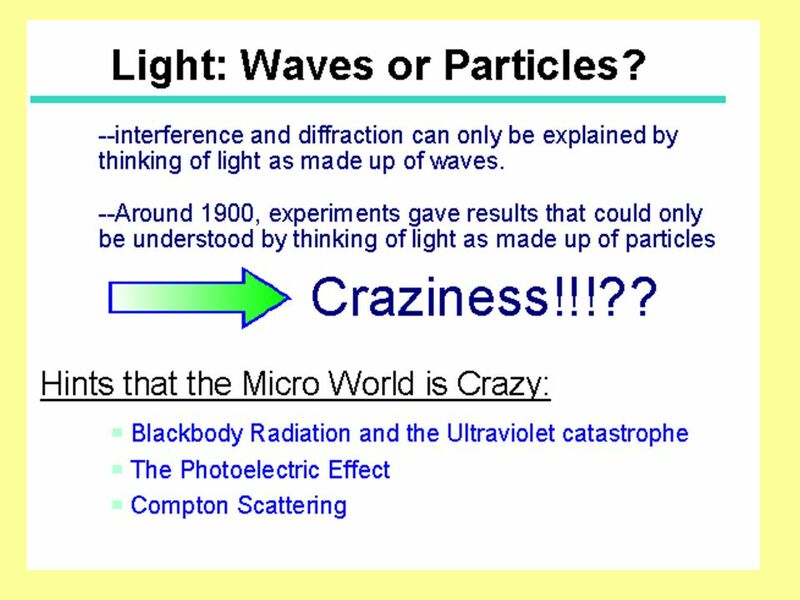 What Did Einstein Say About Light? 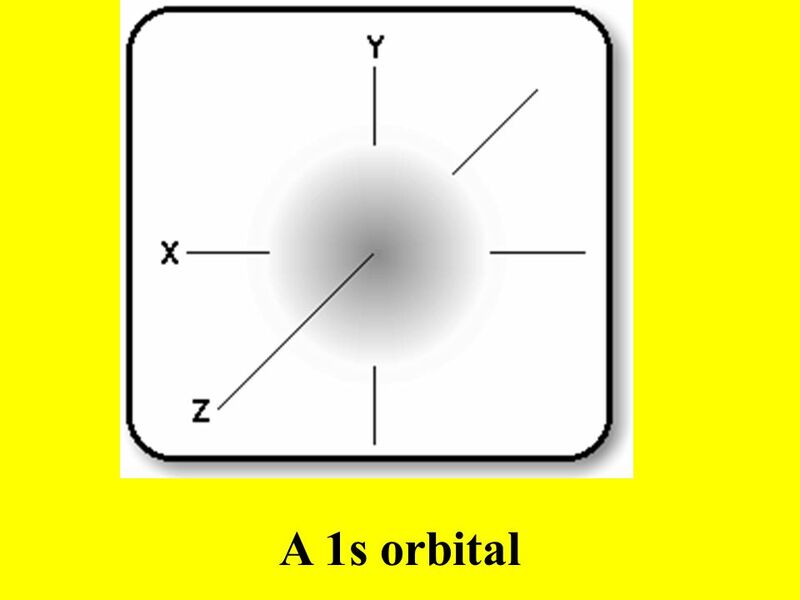 Bohr Model of the Hydrogen Atom Postulates Certain orbits are stationary. 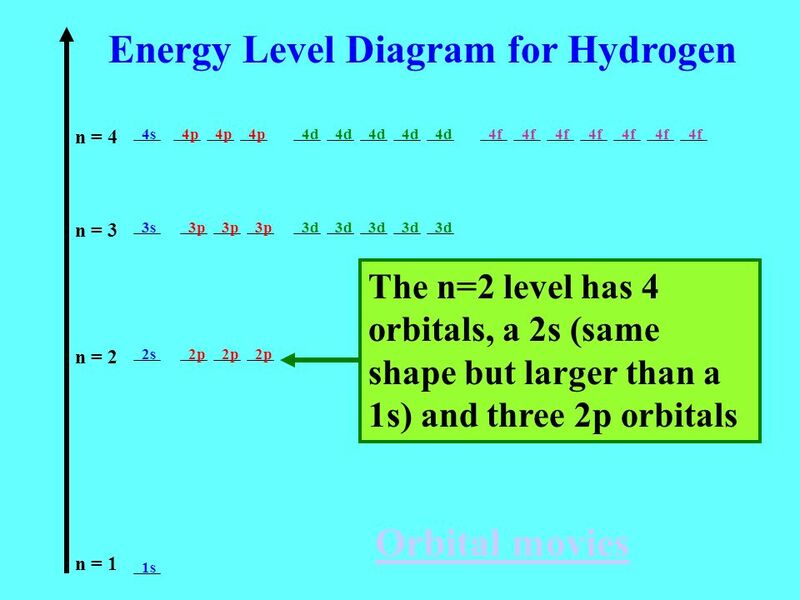 Photon emission occurs upon orbital trans. 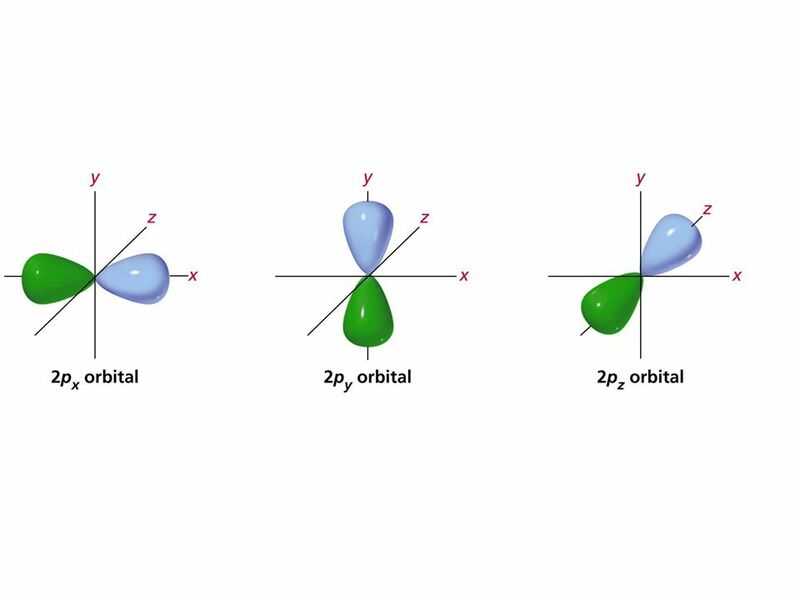 Angular momentum is quantized. 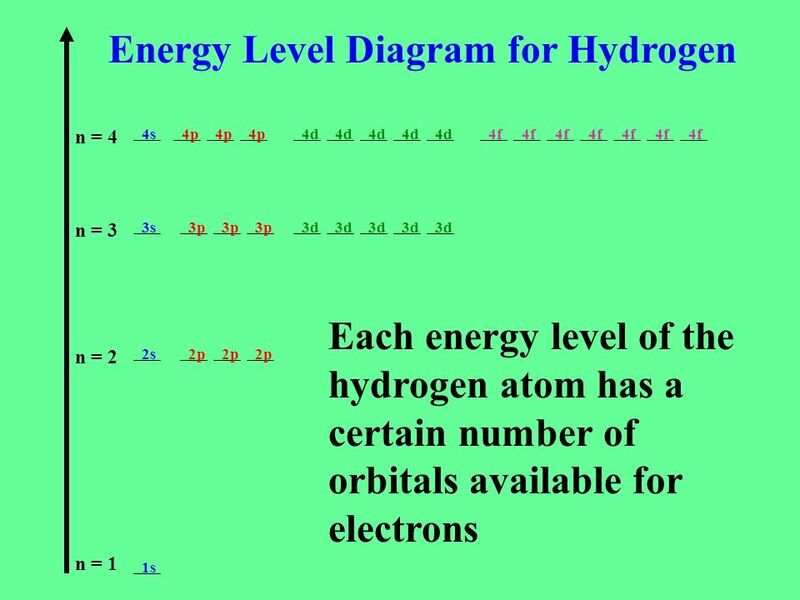 Electron Configuration Mapping the electrons. 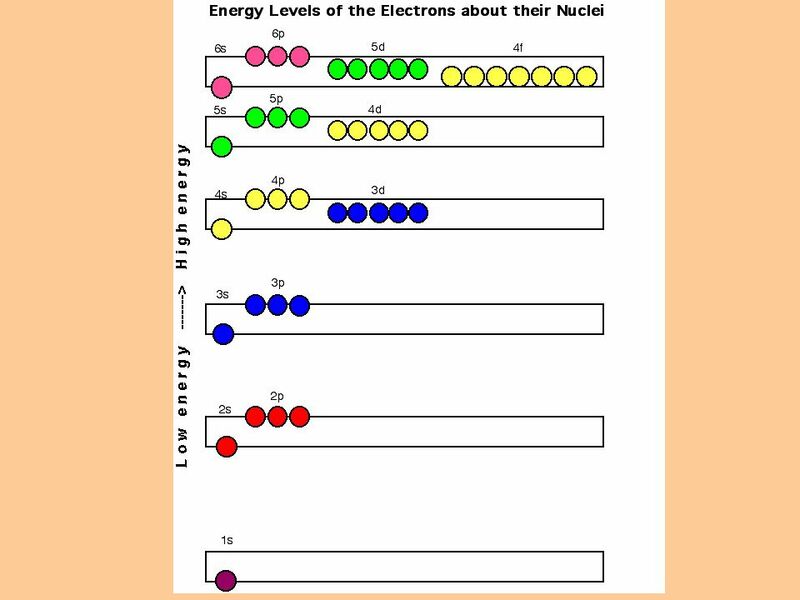 Electron Configuration The way electrons are arranged around the nucleus. 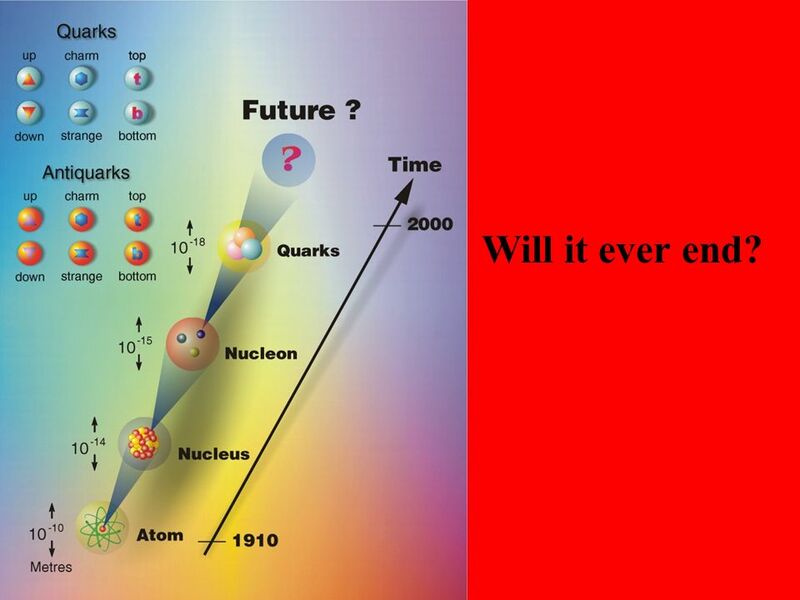 THE ROAD TO THE ATOM. 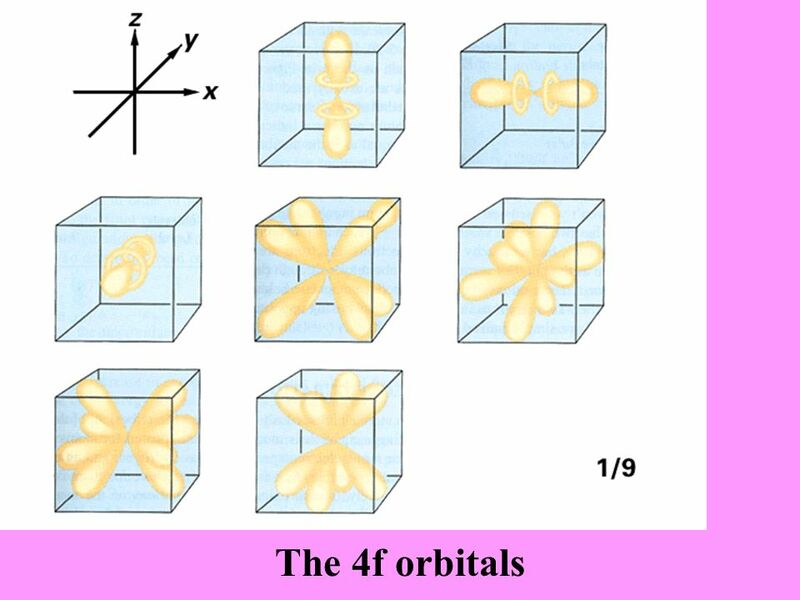 Quantum Model of the Atom l Bohr l de Broglie l Heisenberg l Schrödinger. 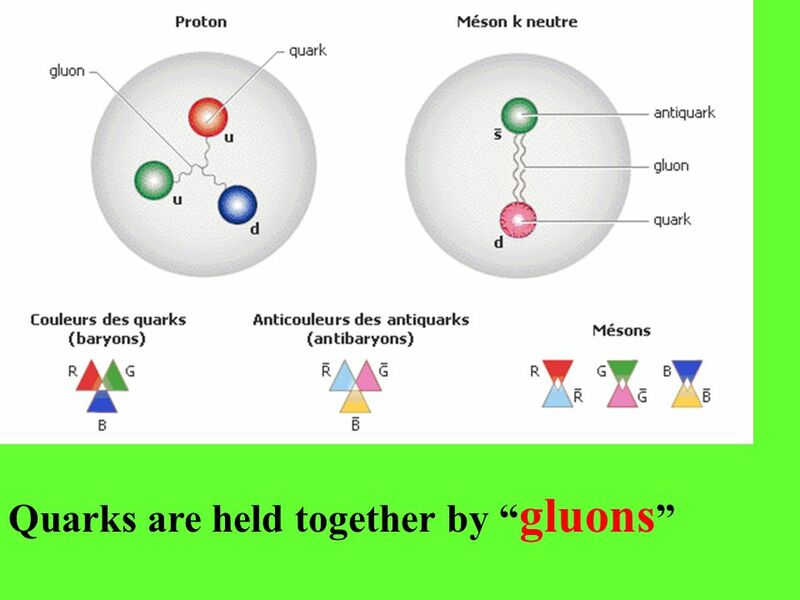 Phy 102: Fundamentals of Physics II Chapter 11: The Atomic Nature of Matter. 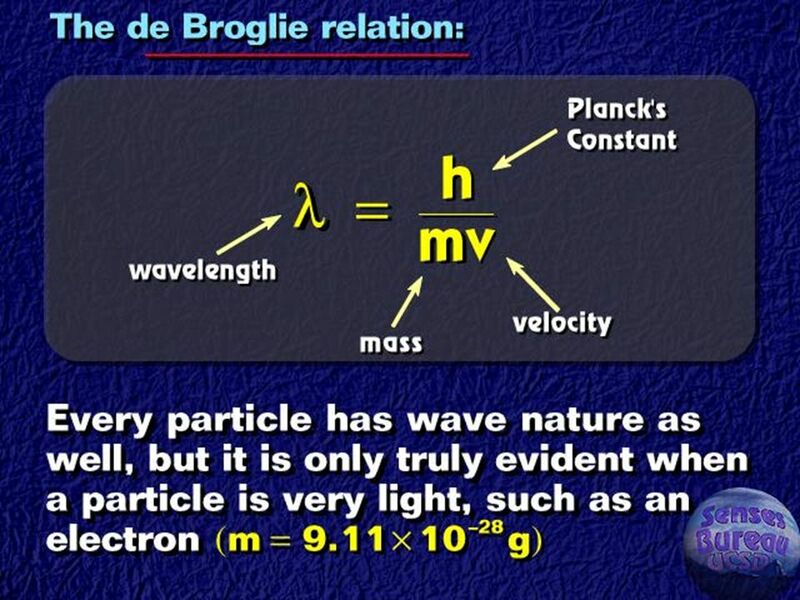 Lecture 2210/26/05. 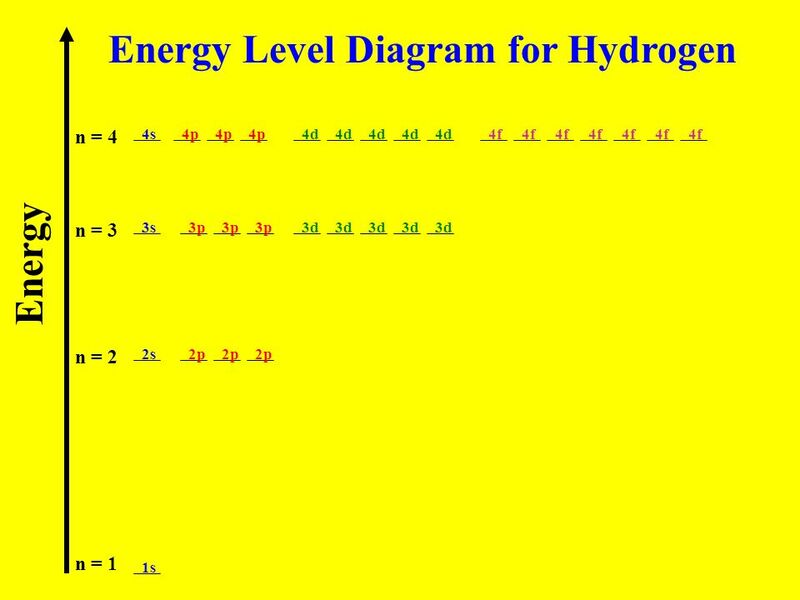 Moving between energy levels. 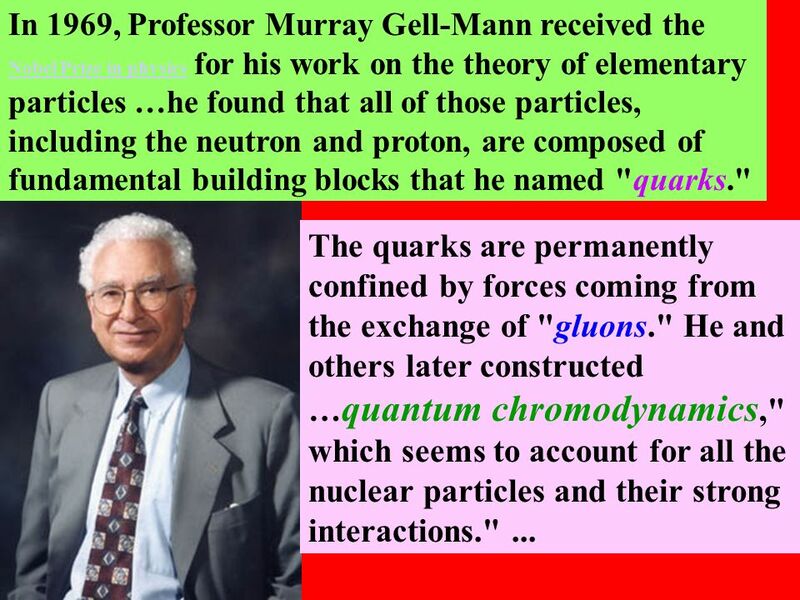 A bit on quantum mechanics and atomic physics Physics 114 Spring 2004 – S. Manly References and photo sources: K. Krane, Modern Physics, John Wiley and. 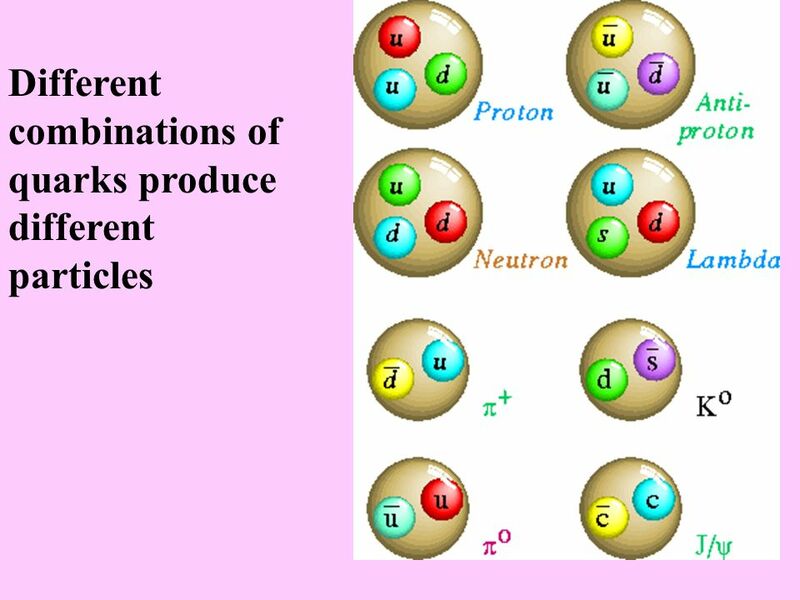 Quantum Mechanics  Bohr’s theory established the concept of atomic energy levels but did not thoroughly explain the “wave-like” behavior of the electron. 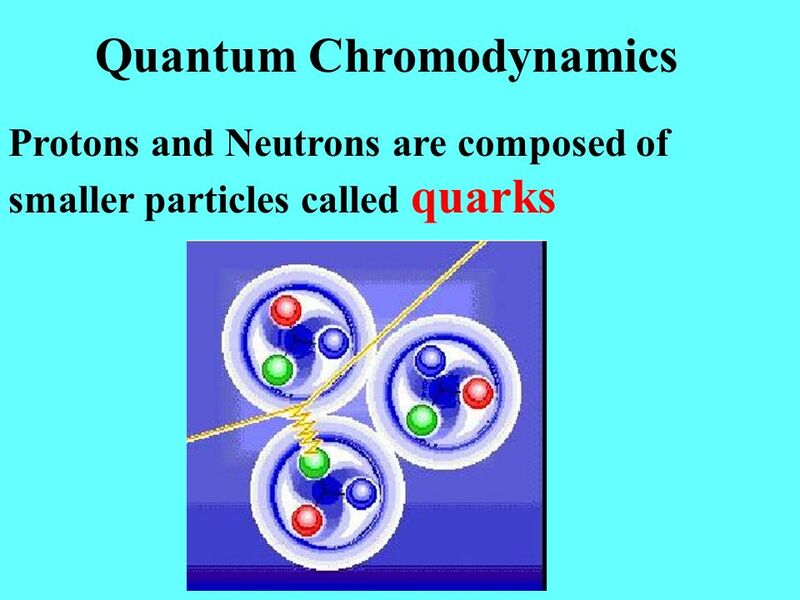 Electrons in Atoms The Quantum Model of the Atom. 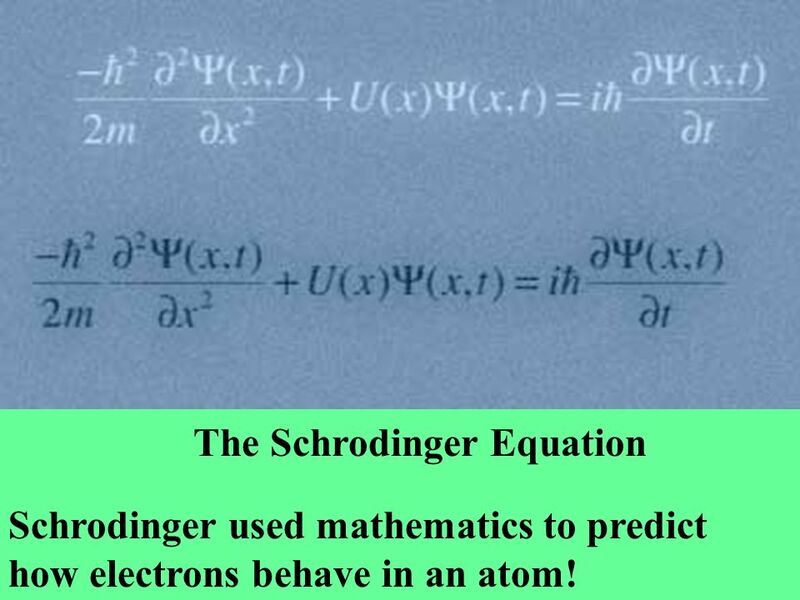 Discovery of the Electron, Models & Theories Jeffrey Thorin Daniel. 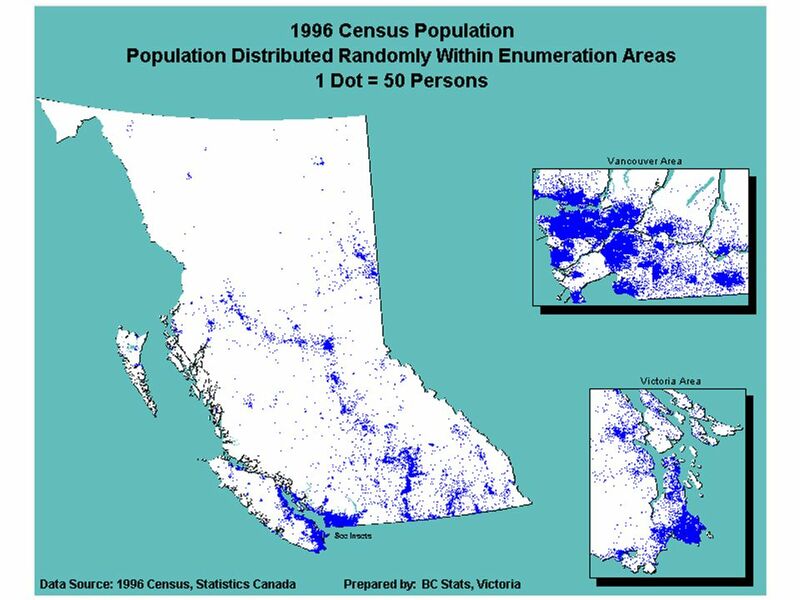 _______ ___ ___ _____ __ ___ ____ ___ _______ ____ ___ _____ ___ ___ __ _________ __ __ __ _________ ____ __________ _________ __ ______ ________ _______. 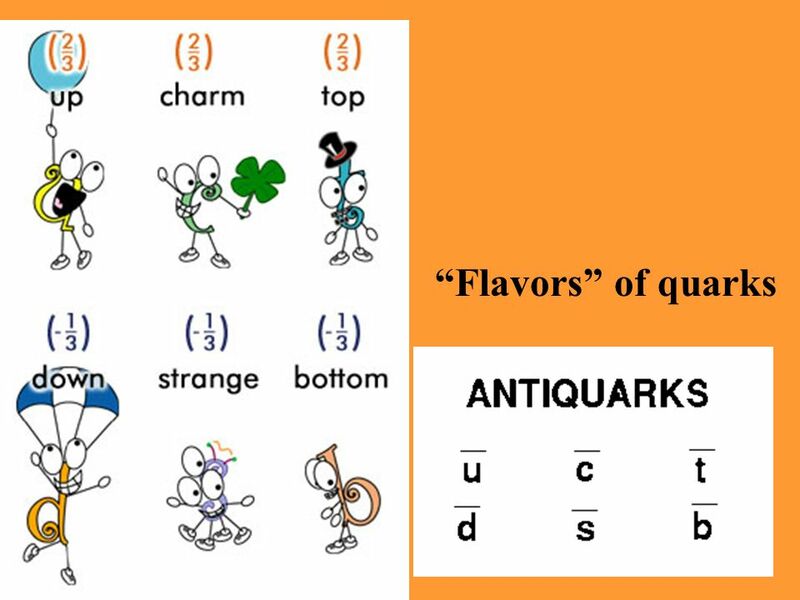 The Quantum Mechanical Model Chemistry Honors. 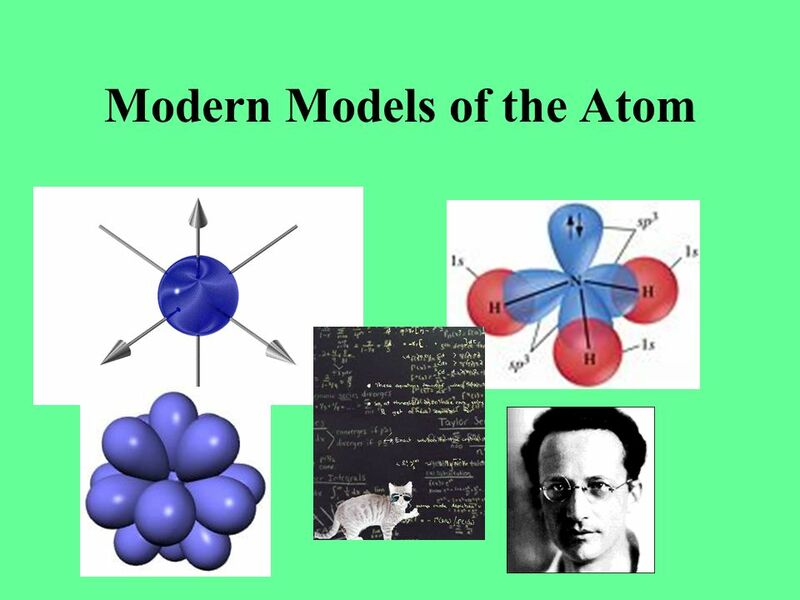 The Bohr model was inadequate.